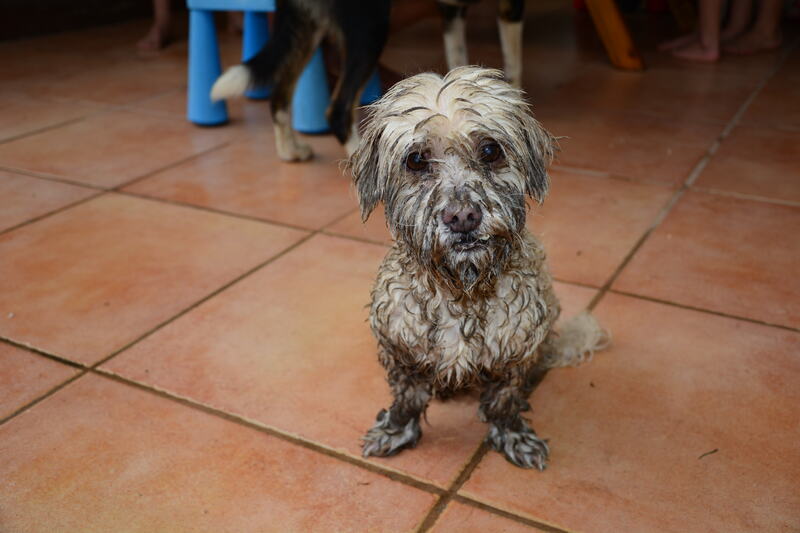 I don’t know how it has happened, but I am behind on the blog posts again! 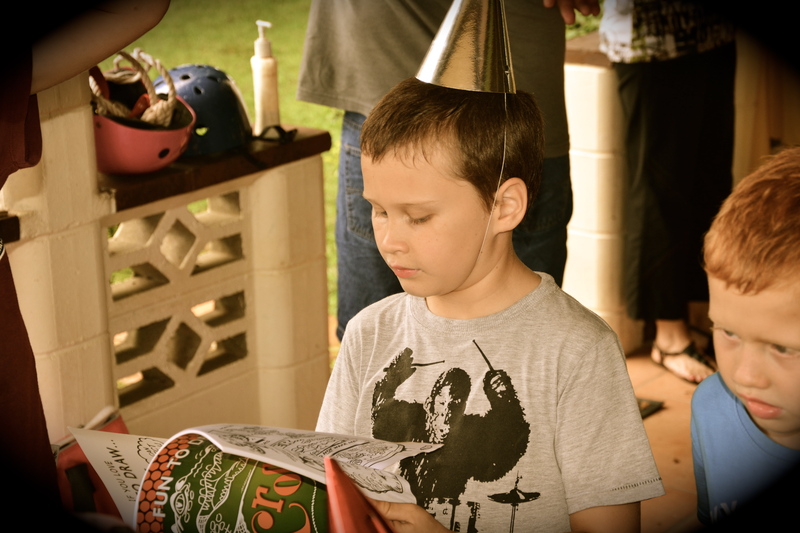 Anyway – just doing a quick post today to share some photos of Jack’s 8th Birthday. How it is possible that we can have an eight year old boy already is beyond us!! 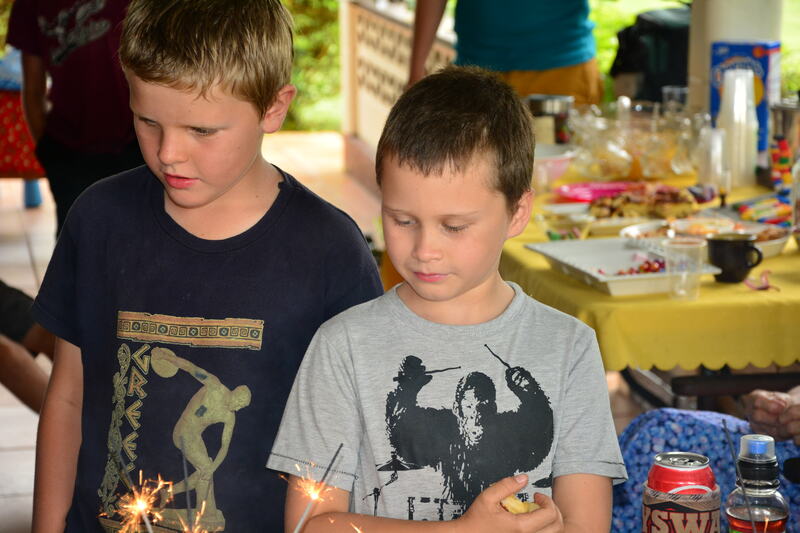 We had a birthday party last weekend for Jack, his great grandma and his cousin Nick, who all have birthdays within a few days of each other in November. It was a really nice afternoon, with lots of yummy afternoon tea treats and most of the extended family on both sides who we now live nice and close to! 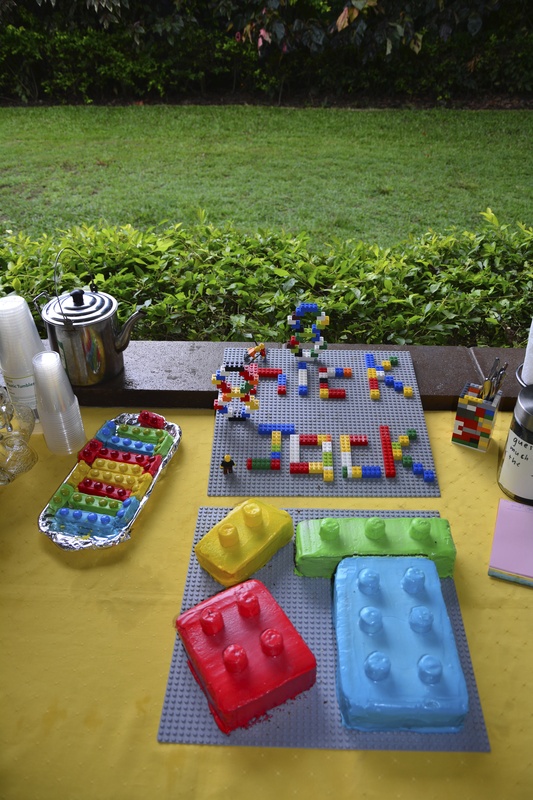 Jack choose the theme of a ‘lego birthday party’ this year, so his birthday cake and some treats were created to look like lego as best we could! 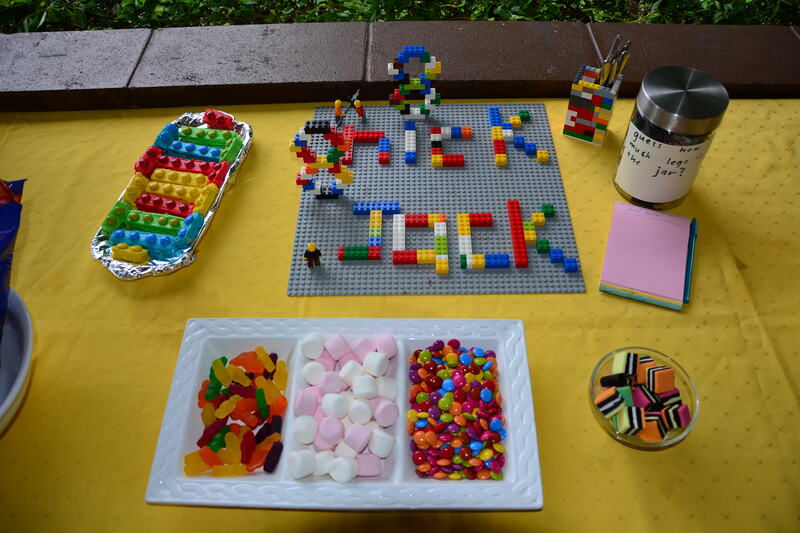 The lego birthday cake – baked by me and decorated by Matt as per usual! 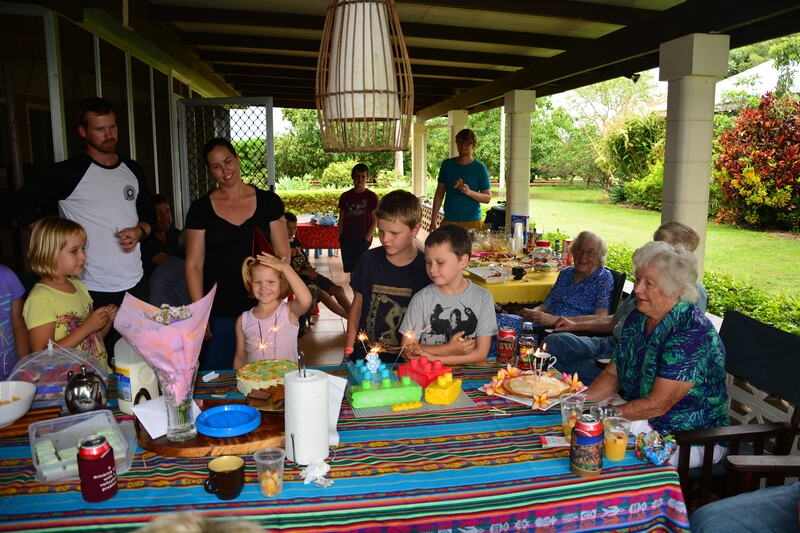 I made a frangipani pie for Jack’s great grandma (Matt’s grandma) as I thought she had grown out of her ‘lego faze’! I did actually make two pies but proceeded to drop one on the floor while getting it out of the oven – I was sooooooo cranky! 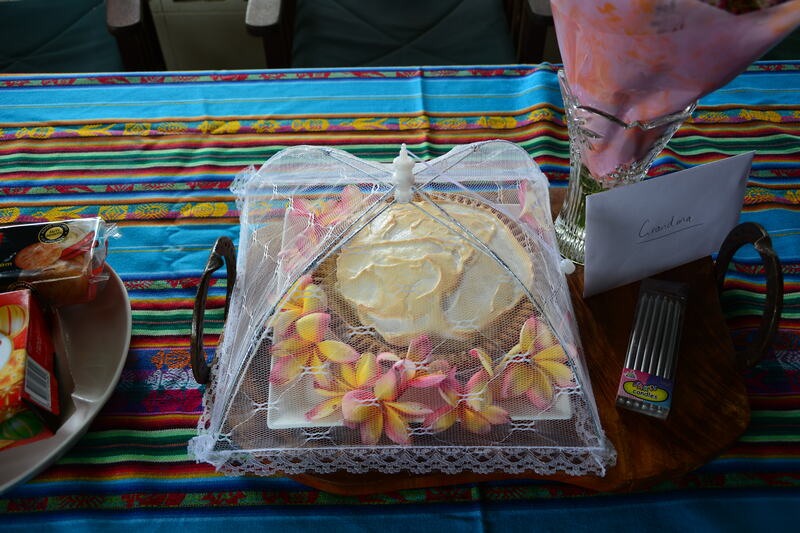 Frangipani Pie – so yum! 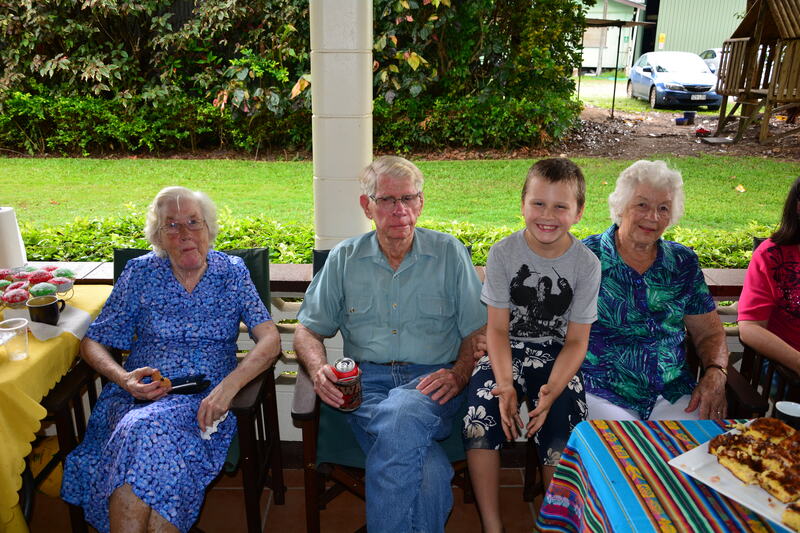 Jack with his three great grandparents – a lucky kid to have them here to celebrate with him! 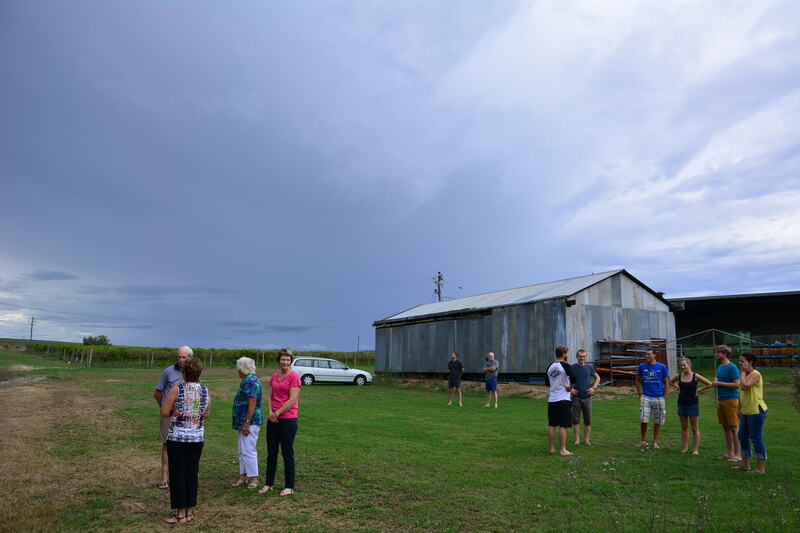 It was a really nice afternoon with all the family and the rain even held off until after everybody had left in the evening. 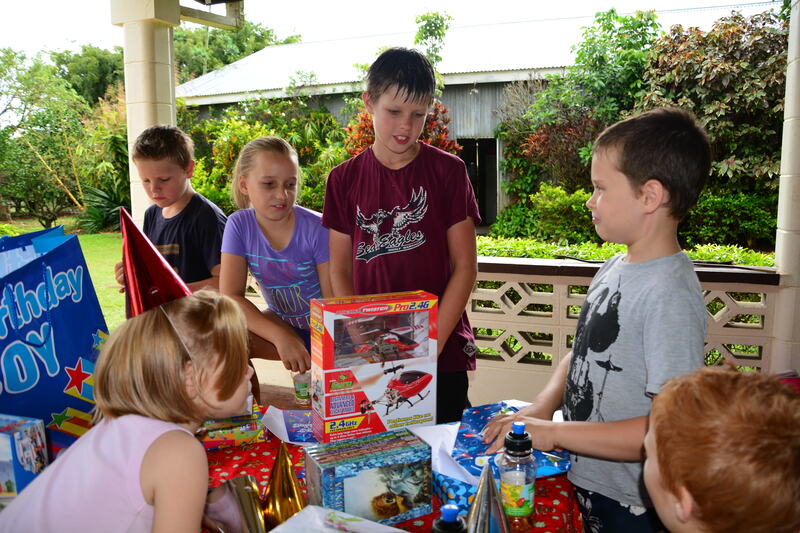 Jack was spoilt with some great gifts; a remote controlled helicopter, some gemstones from Pa’s collection, the boxed set of the Narnia books, a lego pen case, some lego, a kite, some money and some ‘how to draw’ books. So spoilt! Opening his presses with the Johnson cousins. 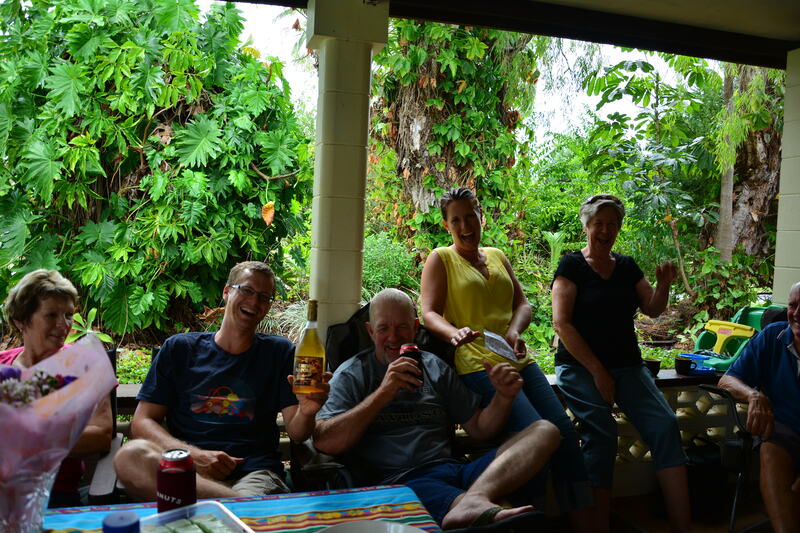 We had lots of birthday cake and even a special surprise for Matt & Ross with a bottle of home-brewed passionfruit wine from Glynis’s dad, Les. Les had brewed the wine with some of the first passionfruit picked from the vines here at Blue Sky and Glynis’s mum was very clever and wrote a poem to go with it! We opened the bottle so everybody could have a taste and it was quite good!!! We’re looking forward to the mango wine next!! The 8 year olds! Jack and Nick! 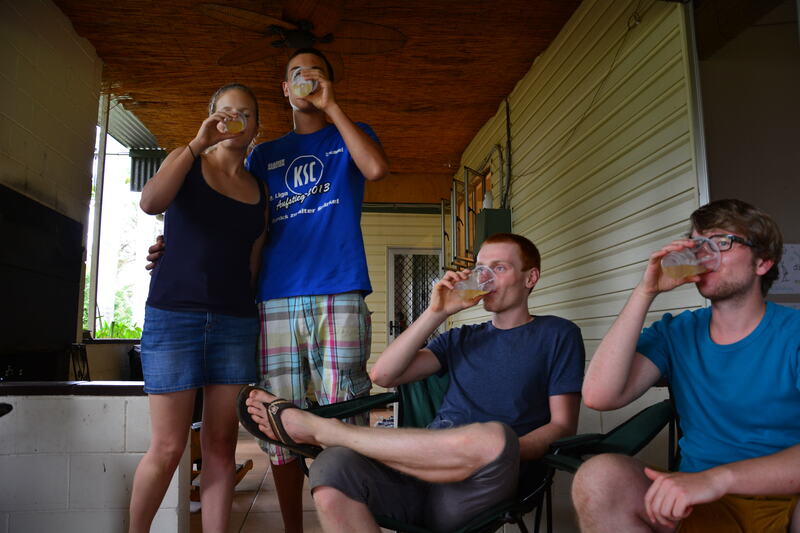 The german backpackers tasting the passion fruit wine! 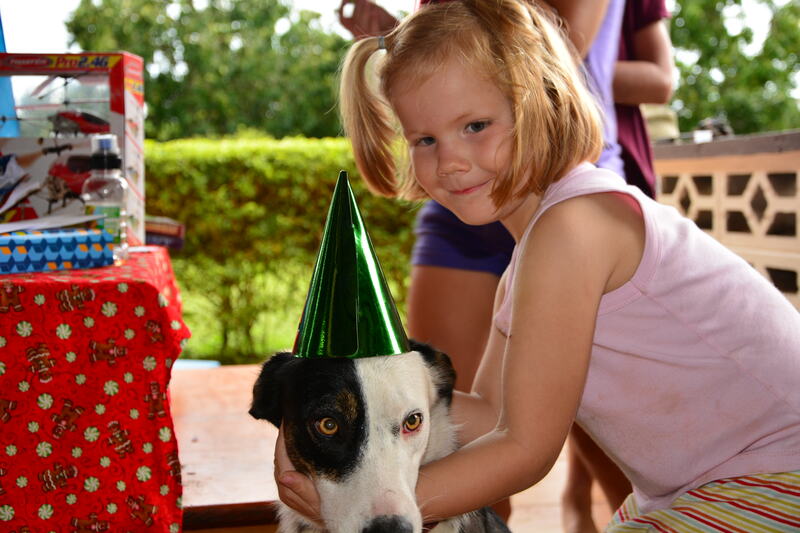 Our new dog Patches got into the birthday party spirit! Jerry loves this farm life stuff! We finished off the afternoon with a wander around Blue Sky to check out the hard work Glynis and Ross had done on the backpackers dorm accommodation. 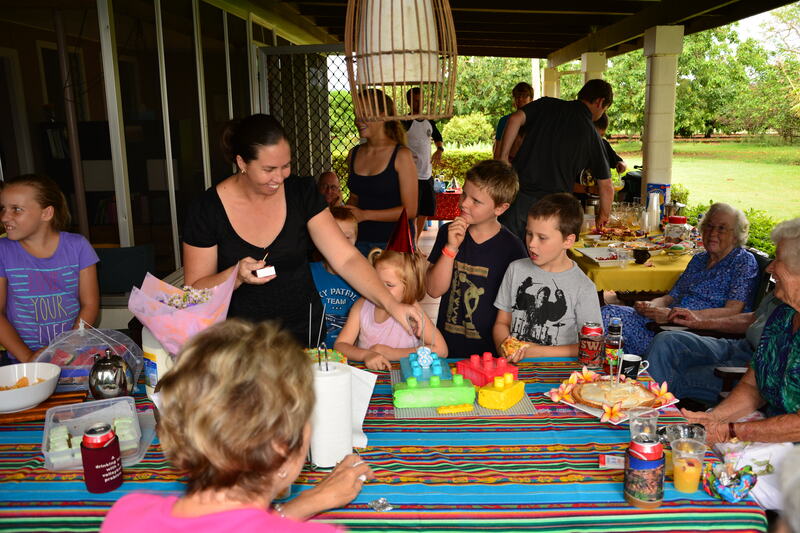 Thanks to all the family that came over to help us celebrate – we felt so lucky to be home!! Having an afternoon wander around Blue Sky. Jack’s actual birthday was a couple of days later so we saved our present for him until then. 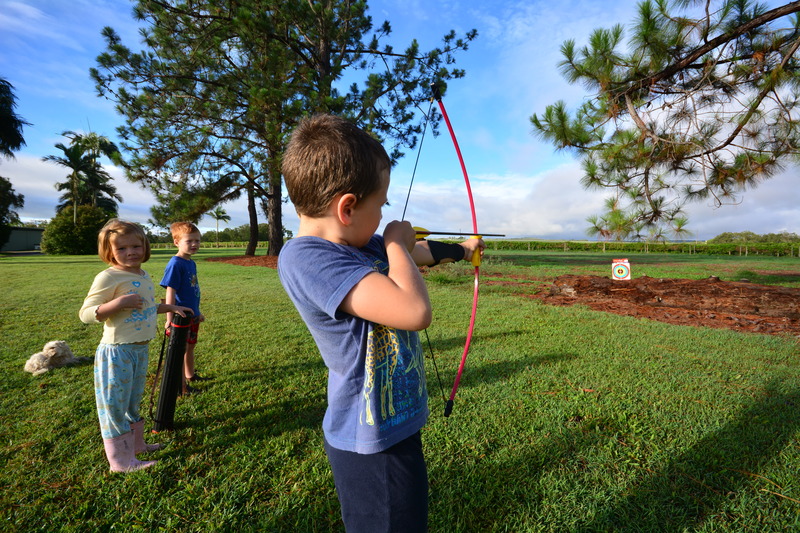 He was very surprised and excited when he unwrapped some new undies (essential hehehehe), the first book in the Harry Potter series and his very own archery set. I know, I know – we may live to regret giving him that gift but for now he is being very safe and none of the ducks are yet to be targets!! All the family had to go and watch! 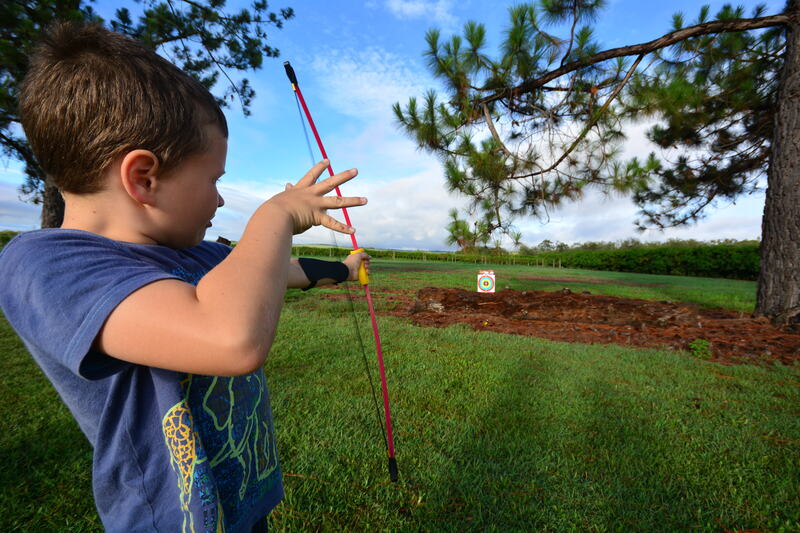 An archery set for his 8th birthday! Happy 8th Birthday Jacko! We love you lots kid and are very proud of the serious, responsible, sometimes quite funny joker that you are!! As always I enjoy your posts, makes me wish we lived a little bit closer. I don’t know how I came across your blog – maybe Glynis linked it – but I was happy to see two familiar faces in Glynis and her mum – who is my mum’s cousin! Don’t get to catch up with them much these days, seeing as we are all grown up and married, and our respective grandmothers have passed away. 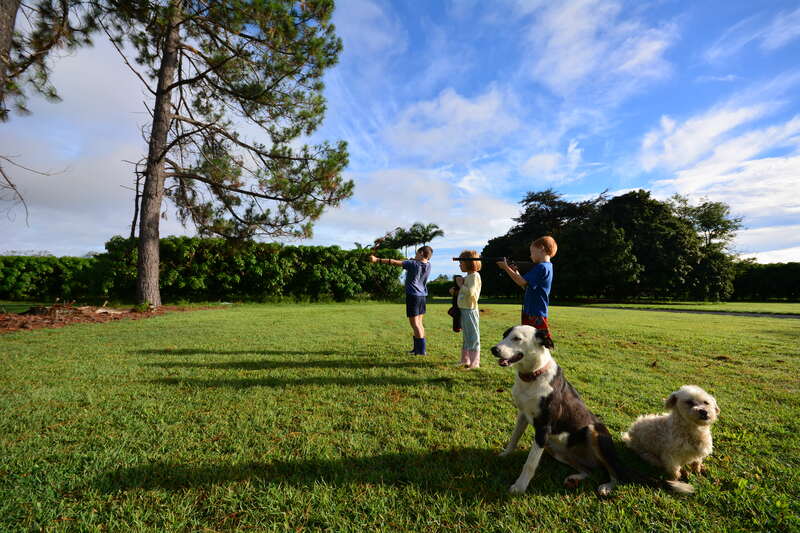 Lovely part of the world you live in up there – so green and fresh!